I have never formally interviewed anyone, but I found it interesting when our instructor pointed out to be kind to the person at reception when coming for your interview, or dropping off your résumé. I am the person that people see when they come into my company and want to hand in their résumé, or try to meet with anyone in management. To apply for a position within my company, you really should apply on line, but a lot of people think if they hand in their résumé personally, they may have a better chance of getting a phone call. Job seekers don’t realize the person at reception has more power over your résumé than you think. I have had many people think I am management when they first meet me, once I tell them I am not, I find they change. The superficial, social mask comes off and they become comfortable answering a few basic questions. What people don’t realize is that I may not be management, but I look at you and wonder; “Would I like you working here?” If yes, I would take their résumé and show my manager. I have an excellent relationship with our management team. We treat each other with respect. Oftentimes, once résumés are reviewed, I am asked what I thought of them. I give my input, and decisions are aided by my opinion. This process is a hidden type of interview. Management and associates are busy–we don’t want to waste time interviewing, and training wrong fits. Be kind and professional to the Security, Reception, and Janitor team members. 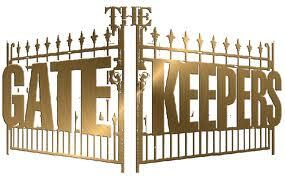 They are the “Gatekeepers” are the company. They have more influence than you would think. Laurie Carter is a Continuing Education Student currently studying with the Career Consultant Certificate Program at Mohawk College. MCACES offers a comprehensive Employment Advisement program for our students. For more information about Employment Advisement, please visit the MCACES website, www.mcaces.ca or contact Lidia Siino, Professional Development & Communications Strategist at Lidia.siino@mohawkcollege.ca. Who is really interviewing you?